If you have cracked the front glass on your iPhone 5 this is the correct replacement part. 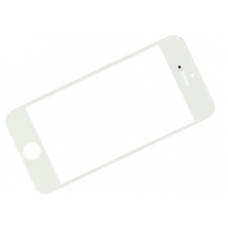 The glass lens is an original white iPhone 5 Gorilla glass panel with an oleophobic coating. Please note unless you have specialist equipment replacement of just the glass lens panel is a complex procedure.